The Life of Labour: Should Union Leaders Have Better Legal Records Than Ministers? Hearing a case regarding the protected status given to trade union leaders, the Karnataka high court seems to have missed the point. “Even if charges are for minor things such as assault or wrongful restraint or wrongful confinement causing hurt, they are sufficient to disrupt industrial peace and harmony. Therefore, a workman facing even minor charges can be denied special status,” Justice Raghvendra S. Chauhan said according to the Times of India. The court said they had to be “role models” and thus could not face any charges. This judgment seems to be in ignorance of the strategies employed by vindictive companies and the true purpose of the protected workmen clause. As we have seen hundreds of times, again and again, both in India and abroad, unionising is seen as a threat by employers. They routinely engage in violence, threats and intimidation by slapping cases on workers, forcing them to deal with the vagaries of the justice system. The statement is also ridiculous given that after much back and forth, our political leaders are not currently barred from office for facing charges. The judge’s attempt to claim that union leaders need to have a better legal record than ministers is superficial. In continuing the trend of subsidising corporates for their contribution to workers’ welfare, the Central government has decided that state government’s will foot half the costs of the enhanced maternity leave benefits incurred by employers. The Ministry of Women and Child Development announced this week that “The government has now decided that out of the 14 extra weeks, half of the amount of salary paid to the pregnant woman would be refunded to the employer from the funds of the labour welfare cess”. It also noted that the action has the concurrence of the labour ministry, which will issue the relevant notification. The rationale for tapping into the labour cess to refund employers is that the state government’s have not utilised the cess adequately. The report does not mention if the state labour departments have concurred on this issue. The NDA government earlier in its tenure had increased paid maternity leave from 12 weeks to 26 weeks. It has come under sustained criticism from the corporate class and lobbyists, including a media blitz a few months ago, which claimed the rule change was adversely affecting female employability. We had covered this attempt at lobbying in the Life of Labour. This lobbying effort has paid dividends, with a partial reimbursement of their costs, that would run into hundreds of crores. Interestingly the government claims that its maternity reform, touted as the most progressive in the world, led to discrimination against women in employment. Therefore, the Centre, in its wisdom, has decided to compensate the violators of law with money earmarked for workers held in trust, yet mismanaged by the state government. BSNL trade unions are accusing the government of mismanaging the company. “BSNL is not able to modernise due to lack of 4G spectrum and funds. The government has not even returned Rs 8000 crore for surrender of spectrum in 2013,” a trade union leader told PTI. Given the competitiveness of the telecom industry, BSNL has its work cut out already without having to deal with the government’s hurdles. For this, she gets paid Rs 3,000 from the Centre and Rs 4,000 from the Maharashtra state government. 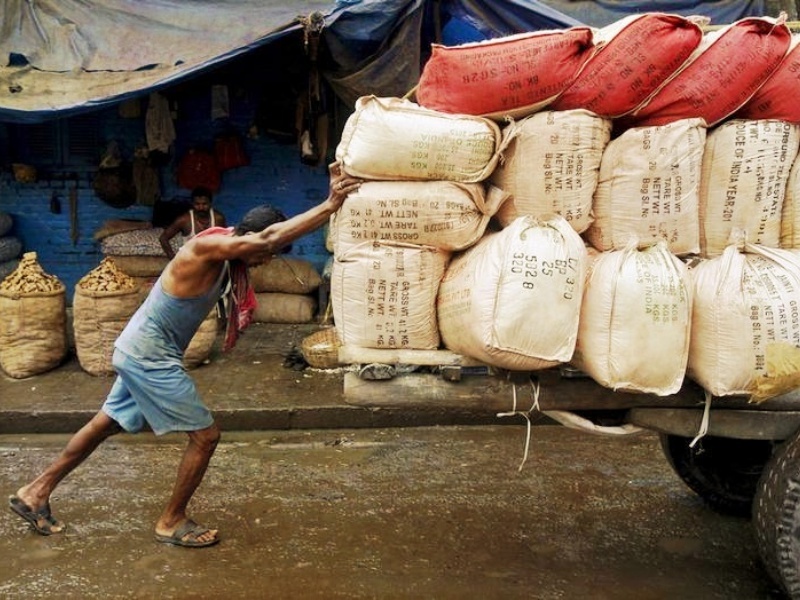 With an eye on the elections, the Narendra Modi government has announced 50-60% raises for the workers. While this sounds huge, it will only amount to an increase of Rs 1,500 or less. Simultaneously, these “honorariums” do not come on time, with delays lasting six months in some regions. 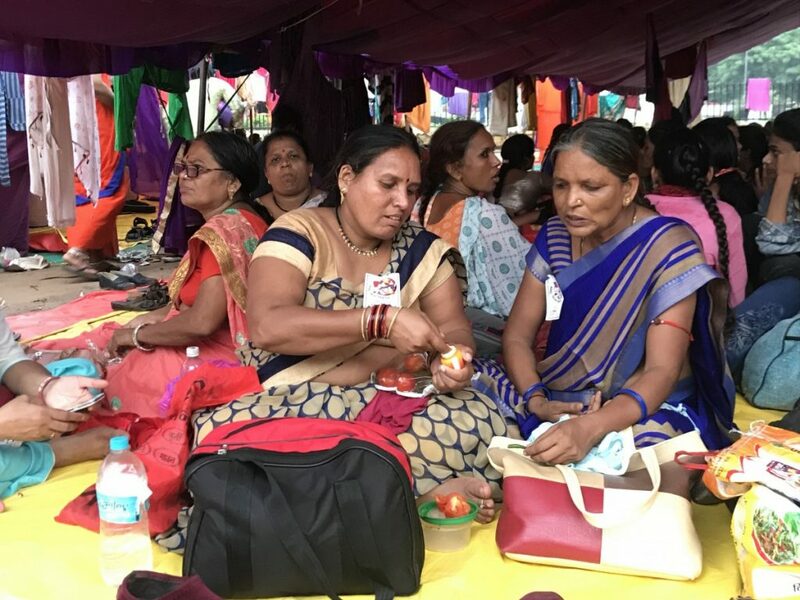 ASHA workers all over the country are fighting to be recognised as full workers, to be regularised and for their honorariums to become actual salaries with all accompanying benefits. The workers at Sukinda chromite mines in Odisha continue their strike after talks between the management and workers regarding safety and health at the mines failed. The strike began after a mudslide in the underground mines injured two workers. The labour union had taken a stand that they would not work until their demands to improve safety in the mines and provide adequate drinking water were met. Indian Metal and Ferro Alloys, which owns and operates the mine, has claimed that these demands are frivolous and it has taken all the necessary action to ensure the treatment of the workers after the accident. The strike, which began on November 1, is into in its third week. India’s mines remain a major cause of fatal worksite accidents, taking a heavy toll on workers. Of the three major labour strikes in the Oragadam region, two ended this week. Royal Enfield workers went back to work after the company accepted to their primary demand not to convert existing probationers to fixed term workers (FTE) or apprentices under NEEM. It has also agreed not to demand an apology letter from the striking workers as it insisted earlier. However, the company has terminated the services of 52 trainees who had not completed the training period. Yamaha workers also went back to work after the company agreed to revoke the dismissal of the two union leaders and only suspend them with full pay until a departmental enquiry is completed. However, the struggle at MSI Automotive continues with the management unwilling to recognise the collective bargaining rights of the workers. An industrial boiling water tank collapsed at a Sugarcane factory in Bijnor, Punjab, killing one worker and injuring three others. The workers were repairing an outlet pipe attached to the tank, when it collapsed. While the enquiry has been initiated and the owner and manager have been arrested for the accident, the report states that the accident occured as the tank’s foundation had gone weak over the years. A report in DNA, has highlighted that the instances of deferred payment of salaries has been increasing in the corporate sector. Pointing out that major companies like Jet Airways and Gammon India have delayed wage payments, it also highlights that the issue is much more rampant among start ups and gig economy companies that employ free-lancers. “Cash flows are getting tighter for several companies. More so for the start-ups, as well as those in industries like hospitality, tourism and retail. Employees working in these sectors are increasingly dealing with their payments being held back in an abrupt fashion. 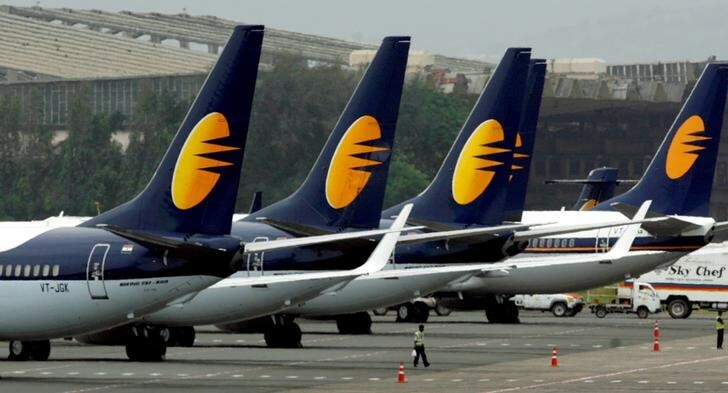 The Jet Airways payment delays became news but there are multiple other companies whose employees are facing this issue,’’ the report cited an expert. The article also has tips to employees in the event of such delays, including their legal options. It also advises the corporates to be more transparent and forthcoming with their workers to minimise financial pain. Defence employees in Chennai skipped lunch as a token measure to show their disapproval with the Centre continuing to privatise the defence sector. “The Centre did not take us into confidence before taking such an important decision on privatisation. We are not just concerned about thousands of jobs that will be lost in the coming years, but also about the strategic issues,” All India Defence Employees’ Federation general secretary Srikumar told the Times of India. The federation is planning a large-scale strike in January as they see no attempt by the government to engage with them. The JACTWW is fighting for a minimum wage of Rs 350 for every tea garden worker, but the government seems to be ignoring them, happy to keep it at the current rate of less than Rs 200. All these student activists were left-wing and based their criticisms on the writings of Marx and Mao, which highlights how far from their purported ideals the Chinese government has gone. As mentioned before, independent organising is banned in China as the ruling party sees itself as the sole defender that the working class needs – this is irrespective of what actual workers believe. The Chinese government instead is simply an authoritarian, police state where young people are abducted in the middle of the night and beaten up. While their comrades in Oakland and San Jose have reached an agreement with the Marriott management, over 2,500 Marriott workers in San Francisco now mark 40 days of their strike. Watch the video in which P. Sainath speaks about this “hidden transfer of public money to private insurers”. 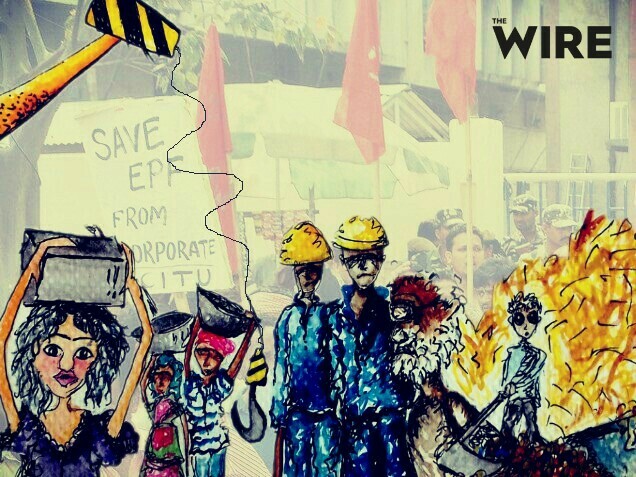 Read more here about Nestlé and the organisation that has been helping corporations investigate their supply chains. This is from 2016 but makes for important reading even today. Social Housing projects in Spain, Belgium, Chile, Vienna and the UK have proven this notion wrong. Read about these projects here.